Is terrorism driving an increase in travel insurance purchases? This week's terrorist attack on tourists in Barcelona may be another reason that travel insurance sales are on the rise. A recent report shows consumers in nine states spent 30% or more on travel insurance last year than the year before. Squaremouth, a travel insurance comparison site, says terrorism is one of the eventualities covered by most travel insurance policies, including terrorist attacks that occur before you even leave home. The company says that if you are booked to travel to Barcelona in the next 30 days, you may be able to cancel your trip and get back all of your prepaid and non-refundable trip costs, if you purchased the travel insurance policy before Thursday's attack. But it requires a careful reading of the fine print in your particular policy. Phil Hsia, president of AIG Travel Americas, told USA Today in 2015 that travelers need to carefully review the portion of their policy that deals with trip cancellation, where they should find a list of all covered reasons. Squaremouth's sales data shows that consumers' interest in terrorism coverage roughly doubled over the past year, resulting in an increase in policies with trip cancellation coverage. Many credit cards offer cardholder some automatic travel insurance coverage, but not for terrorist-related trip cancellation. Some cards do provide coverage if the trip is cancelled, and a terrorist attack that damaged or destroyed a booked hotel or resort might qualify. Personal finance site WalletHub recently rated and compared major credit cards' automatic travel insurance coverage. Squaremouth says many consumers don't realize that if they are on a trip when a terrorist incident occurs at their destination, their travel insurance can bring them home. 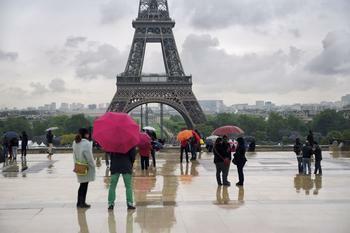 The company says travel policies that include terrorism coverage usually includes both cancellation coverage for travelers who haven't left and interruption coverage who are in the city where an attack occurs. Squaremouth has set up a special resource with information about the Barcelona terrorist attack that addresses specific travel insurance questions.